Arlington, VA, September 15, 2015 – This October is “Odd-tober” on PBS KIDS, with an all-new ODD SQUAD one-hour special and the return of Halloween-themed family favorites from various series. Related games, clips and full episodes will also be available on PBS KIDS digital platforms throughout the month. To complement the Halloween fun, PBS Distribution recently released three new Halloween-themed DVDs from CAILLOU, PEG + CAT and WORDWORLD. From carving a jack-o’-lantern with Caillou to going on a trick-or-treating adventure with Peg and Cat, these DVDs include laugh-out-loud stories full of Halloween excitement. The new DVDs are “CAILLOU: CAILLOU’S HALLOWEEN,” “PEG + CAT: A TOTALLY AWESOME HALLOWEEN” and “WORDWORLD: HALLOWEEN FUN.” Each DVD has an SRP of $6.99. Images, descriptions and other materials from all PBS KIDS series are available on PBS PressRoom. 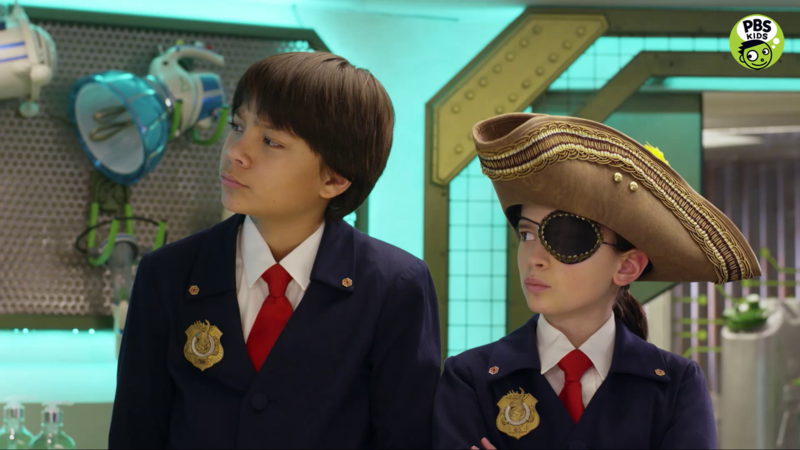 ODD SQUAD and PEG + CAT are funded in part by the Corporation for Public Broadcasting (CPB) and the U.S. Department of Education through the Ready To Learn Initiative, which supports the development of innovative educational television and digital media targeted at preschool and early elementary school children and their families. The Corporation for Public Broadcasting (CPB), a private, nonprofit corporation created by Congress in 1967, is the steward of the federal government's investment in public broadcasting. It helps support the operations of more than 1,400 locally owned and operated public television and radio stations nationwide, and is the largest single source of funding for research, technology and program development for public radio, television and related online services.